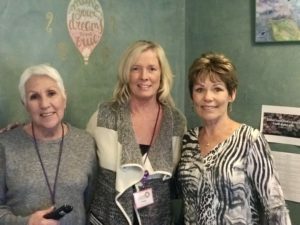 The Verde Valley Sanctuary is expanding their services to victims of domestic abuse and sexual assault thanks to the expansion of its volunteer program. Demand for services from the Verde Valley Sanctuary including safe shelter, counseling, safety planning and legal support have never been higher. In fact, the 28-bed shelter has been at capacity since early June and the staff has been extremely busy trying to keep up with all of the complex needs of so many clients. Earlier this fall, Maggie Fega was hired as the new Outreach Director. Maggie has years of experience in non-profit volunteer management and saw a way to help the agency elevate the level of service it provides to clients through a coordinated volunteer program. “In the past we have not had enough staff to be able to effectively manage volunteers who work with clients. Volunteering has been strictly at the two thrift stores: Twice Nice Sedona and Twice Nice Thriftique in Cottonwood. This program will allow us to provide more individualized support for our clients.” states Maggie Fega, Outreach Director. The opportunities for service expansion through volunteerism are limitless. Some of the ways volunteers are currently helping includes: “Super Grandma’s and Grandpa’s” who come into the shelter around dinner time or on weekends to help with meal preparation and keeping the children occupied with reading, homework and games. Other volunteers are driving clients to medical and legal appointments, delivering donated food to clients in need, and assisting clients with job preparedness. 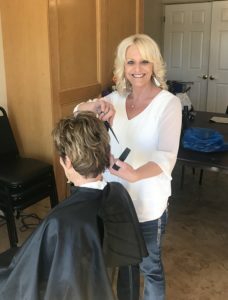 We even have a volunteer stylist who is coming in once a month to provide haircuts to the clients and their children. “The outpouring of support from the community this past year has been tremendous! We are so grateful for everyone who has donated, volunteered and shopped in our stores so that we can continue to meet the increasing demand for our services”, states Matthew Kelley, Ph.D., Executive Director of the Verde Valley Sanctuary. All “client-service” volunteers must interview for positions with the Volunteer Coordinator, Leslie Stevens and attend a volunteer orientation. Volunteers for our wonderful Thrift Stores just need to stop in the stores and inquire. For more information about becoming a volunteer please call the Outreach Center at (928) 634-6255.